Australian banking giant, Westpac, is unveiling a new 'PayWear' wearable payment accessories and is set to partner with local designers to further build the range. Westpac customers will soon be able to tap-and-pay hands-free with the waterproof and battery-free wearable, which includes a silicone band and a ‘keeper’ that can be easily attached to an existing watch or fitness band. Containing a microchip, or PayWear card, it is linked to the customer’s everyday transaction account so customers can tap and pay in the same way they regularly do with their debit card, without having to reach for their wallet or smartphone. Westpac Group consumer bank chief executive, George Frazis, said customers across the country embrace greater convenience and expect to be able to simply tap-and-pay. “Australia has the highest contactless penetration in the world, and cards continue to replace cash as consumers demand convenience," he said. "We’re always looking for new ways to help make our customers’ lives easier, and with our new PayWear products, customers will be able to pay on-the-go, in one hands-free step." According to Frazis, when Westpac spoke to customers, it discovered personal style and choice were also important when choosing a wearable. "In fact, 70 per cent agreed that they would only wear a wearable device if it suited their own personal style and lifestyle," he said. 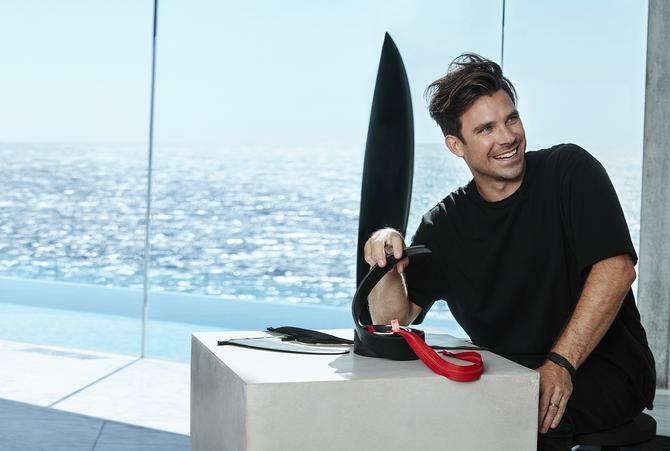 "This is why we will collaborate with iconic Australian designers to create a variety of wearable accessory designs to suit different tastes, preferences and style." The first Australian designer producing a range of unique products for Westpac PayWear is surfboard shaper and entrepreneur, Hayden Cox, of Haydenshapes. A range of leading Australian designers will also be chosen from fitness fanatics, to busy parents, professionals and festival-goers. “Functional design is something I’ve always been passionate about – particularly technology and products that improve experiences for people," Cox said. "It was this passion which led me to creating and filing a patent on my parabolic carbon fibre surfboard construction, FutureFlex, and wanting to uniquely design my product to improve the surfing experience. All Westpac customers with an everyday banking account eligible for a Debit Mastercard will be able to order a PayWear Card online via Westpac Live, which can be inserted into the PayWear accessory of their choice. Westpac customers will be able to use PayWear to make purchases on all contactless-enabled terminals. PayWear Essentials will be available early December with the designer range due to be available to customers in early 2018. Customers will be able to get a PayWear Essentials accessory free of charge for a limited time.